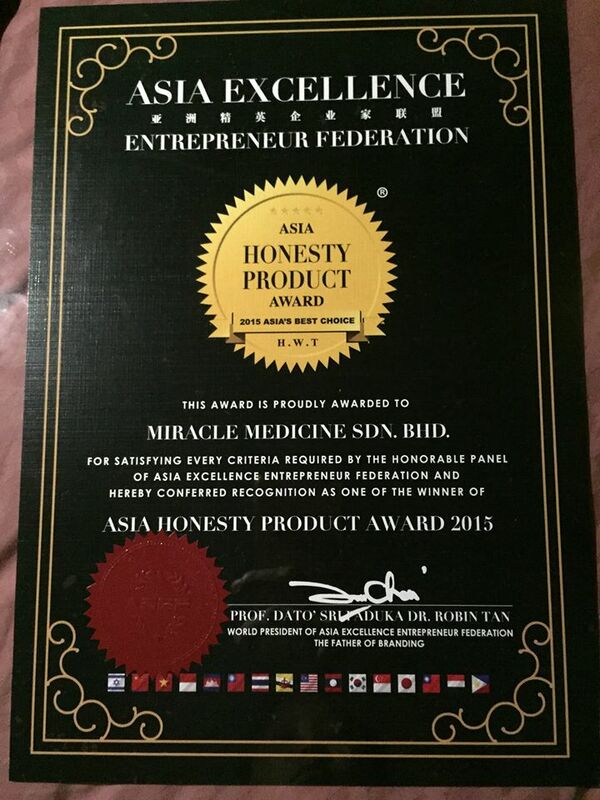 MIRACLE MEDICINE SDN BHD felt very honor to get "ASIA HONESTY PRODUCT AWARD 2015". Our company always with the most sincerely and faith in our business. Hope our products "PORCUPINES DATES" can help more people who need and enjoy their miracle good life. 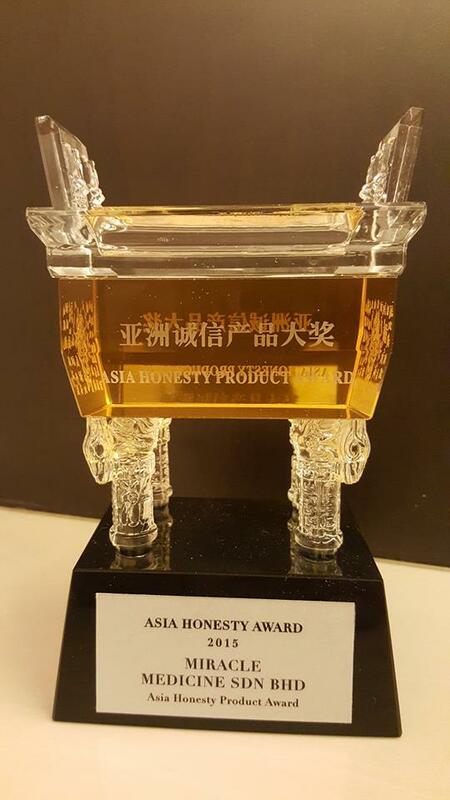 We are grateful for the supporter of our company and get the "ASIA HONESTY PRODUCT AWARD 2015". Our company will always do the better! 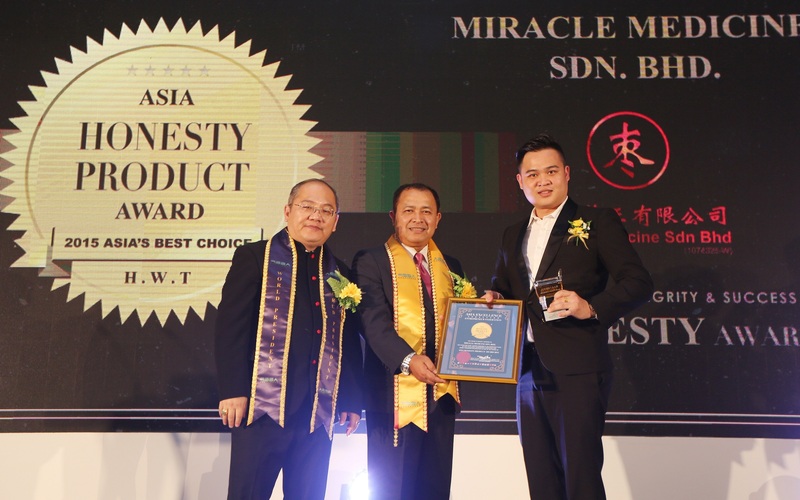 This award has received by our Leader of MIRACLE MEDICINE SDN BHD (MR. Lim Kien Seng).